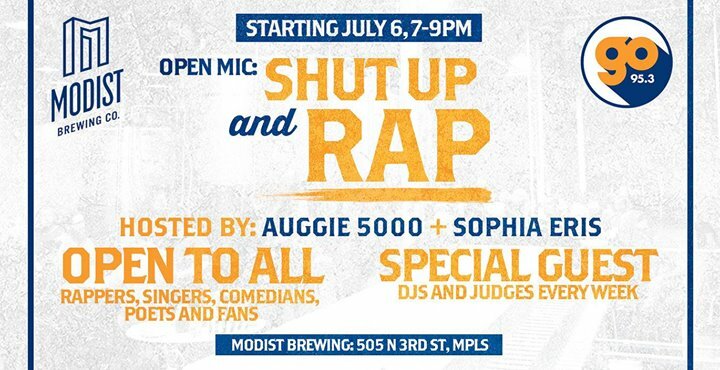 GO 95.3 is bringing a Hip-Hop Open Mic to Modist - Modist Brewing Co.
Auggie 5000 and Sophia Eris are hosting a weekly showcase for rap, poetry, comedy and spoken word at our brewery starting on Thursday, July 6 from 7-9 PM. Interested in performing? Just hit up @Auggie5000 and @SophiaEris on Twitter and use the hashtag #ShutUpAndRapMPLS to enter!